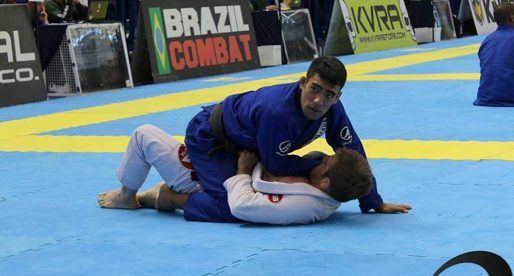 Home Posts Tagged "Jiu Jitsu Light Weight Division"
the Peso Leve division, mainly known as the light weight class is one of the most competitive divisions in jiu jitsu and it has been since the early days of the sport. This is a comprehensive list of the top players in this division (past and present). 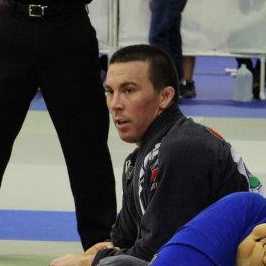 Tanner Rice is a jiu jitsu black belt under “Cobrinha”, who became known as the first American born athlete to be promoted by the respected Alliance coach. Rice earned the rank at the age of 19, after winning the 2012 IBJJF world title, being at the time the youngest US native to achieve this deed. Later that year, in his black belt debut, Rice defeated two of the sport’s biggest names cementing his name as one of the most talented athletes in his division. Mansher Khera, also known as “Munch” is a Brazilian jiu jitsu black belt of Sikh descent, being the first grappler produced from white to black belt by the legendary Marcelo Garcia. 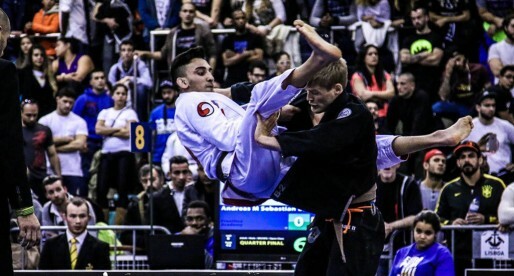 Khera arrived at the black belt division midway through 2015 being already regarded as one of the hottest prospects in the sport, mainly due to his incredible lower belt campaigns where he earned four World No-Gi titles (2013 and 2014 weight + absolute). 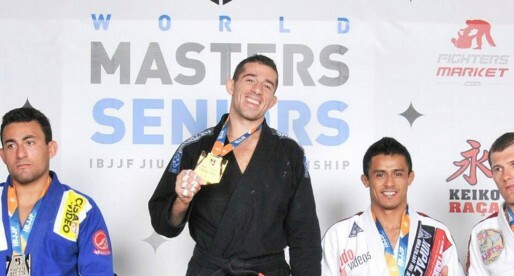 He immediately cemented his status as one of the top lightweights in the world with solid performances at tournaments such as the IBJJF Boca Raton Open and the World No-Gi Championship. Edwin Najmi is a Brazilian jiu jitsu black belt under Romulo Barral of the Gracie Barra academy (Northridge branch), a gym that has produced many talented grapplers, including Beneil Dariush, Pedro Araújo, Gabriel Larges, to name a few. One of the most talented grapplers of his generation, with a crowd pleasing submission orientated jiu jitsu style, Edwin Najmi climbed the belt ranks, stacking wins at the sport’s most revered tournaments, such as the World Championship, European Open and Pan American Championship. A Brazilian native of Japanese descent, Juan Caio Kamezawa, was regarded by the end of 2012 as one of the hottest Jiu Jitsu prospects in the world, since then the Fabio Gurgel and Luciano Nucci (Casquinha) black belt from the Alliance academy has confirmed this status. Rodrigo Conceição, more commonly known as Rodrigo “Aquiles” (also spelled Akillis or Achilles), is one of the top Brazilian Jiu Jitsu black belts in the lightweight division who competes for the Alliance Academy, Rodrigo Aquiles is also part of an incredible tradition of BJJ competitors from the Cantagalo slums in Rio de Janeiro, an area of the city that has produced several big names of the sport. Thibaut Olivier is one of three French brothers (Maxime, Rodolphe and Thibaut) who are amongst the top Brazilian jiu jitsu competitors in Europe. Thibaut Olivier has represented France all around the world, medaling in many important tournaments. 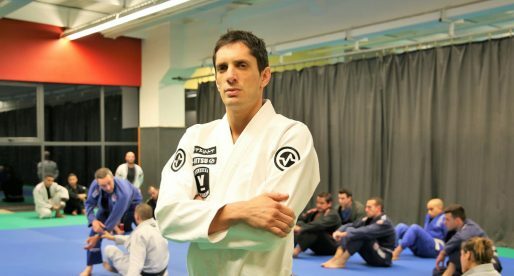 The Olivier brothers have also founded The Gokudo academy, a leading BJJ academy in France. Ryan Beauregard is an American born jiu jitsu and judo black belt, being also one of the top competitors of his generation in the USA. A former world Brazilian jiu jitsu champion (brown belt 2008), Ryan Beauregard started his own team together with his brothers (Colin and Ian), this “Team Beauregard” has quickly become one of the strongest BJJ academies in the Arizona region. Rodolphe Olivier is a French grappler who holds the rank of black belt in jiu jitsu, a belt awarded by Ricardo Vieira. Rodolphe and his three brothers (all BJJ black belts) have represented France all around the world, conquering important medals. They have also founded one of the top academies in France, the Gokudo. 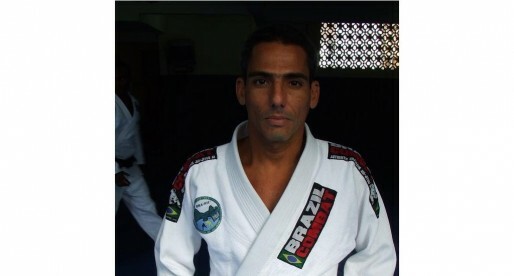 Marcos Torregrosa, also known as Marcos “Yemaso” in the fighting world, is a jiu jitsu black belt under Cassio Werneck. Originally from Puerto Rico, Marcos Torregrosa made a name for himself in the grappling world competing mainly in the United States where he conquered several important tournaments such as the American National, Grapplers Quest, the US Open an many other trophies. Yamaso is also part of the Lloyd Irvin association, which he joined in 2011. Rogerio Poggio is a renowned 4th degree Brazilian Jiu Jitsu black belt under Master Tolita “Pitoco” Jordan, who is one of the founders of the famous Infight jiu jitsu team. Poggio has also led a successful competitive career with wins at tournaments such as the Mundial, the South American championships and the Brazilian nationals. Samy Al Jamal is a 4th degree black belt in Brazilian Jiu Jitsu and one of the highest ranking BJJ coaches of Arabic origin. He has been one of the great propellers for the sport in countries such as Jordan and Palestine where he made BJJ available by starting the very first grappling and MMA academies in these countries (Source MMA), opening it also to women and the under privileged, forming, very possibly, the first women’s BJJ team in the Middle East and the first MMA academy in Palestine. Roberto “Toshi”, is the son of the late Master Adilson de Souza, he is also one of the top competitors in the Jiu Jitsu lightweight division. 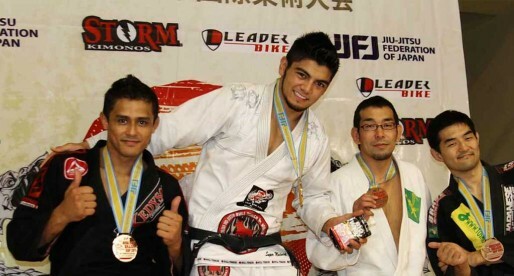 Having been a BJJ black belt since May 2011, Roberto Satoshi has already beaten some of the division’s top athletes, such as Michael Langhi and JT Torres havin won important tournaments including the Mundial, the European Open, the Asian Open and many others. Jair Lourenço is one of the top Brazilian Jiu Jitsu & MMA coaches in the world, having brought to the limelight a legion of incredible fighters such Renan Barão, Michele Tavares, Jussier “Formiga”, Marcelo “Caneta”, Ronny Markes, Claudia Gadelha, Gleison Tibau to name a few, helping to put the northeast region of Brazil on the BJJ map. 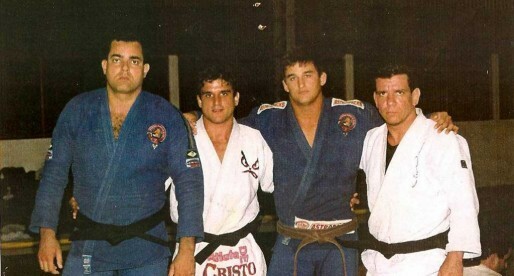 Ralph Gracie is a Brazilian Jiu Jitsu black belt under Carlos Gracie Junior (his cousin) and the brother of Renzo Gracie, he was an accomplished Vale Tudo, MMA and Jiu Jitsi fighter in the 1980s & 1990s later becoming also a successful coach from his academy in San Francisco, CA. Renan Barão is a professional MMA fighter with a Jiu Jitsu background having become the 100th black belt awarded by the Andre Pederneiras in 2011. 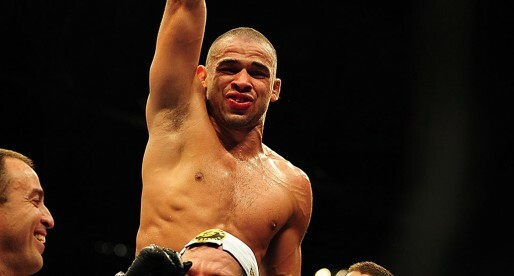 Originally fighting out of the Kimura/Nova Uniao camp in his naive town of Natal (RN), Barao also trains regularly at Rio de Janeiro with the main Nova Uniao team, sharing the mats with Jose Aldo, Marlon Sandro and many others. A former tri-athlete, Guilherme Cascon is a Brazilian Jiu Jitsu black belt under the illustrious Master Carlos Henrique, who coaches at the Brazil 021 team academy in Rio de Janeiro, Brazil. 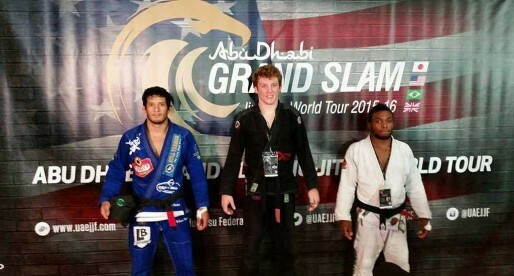 Guilherme has reached the podiums of important tournaments throughout his competitive career, such as the Brasileiro and the Copa Rolls Gracie. Luis Sergio Roman is a Puerto Rican national who holds a black belt in Brazilian Jiu Jitsu under James Boran. 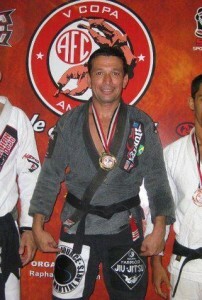 Originaly a Sambo athlete, Luis Roman turned to BJJ in the 1990’s and became a black belt in the early 2000’s. 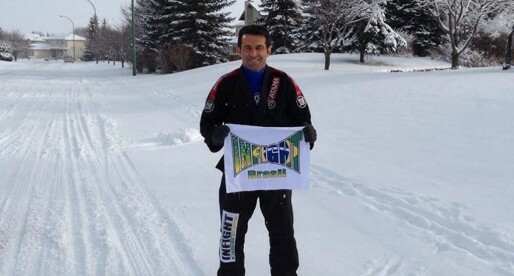 Leo Arruda is a Brazilian Jiu Jitsu black belt under the former world BJJ champion, Luiz Guilherme AKA “Guigo”. 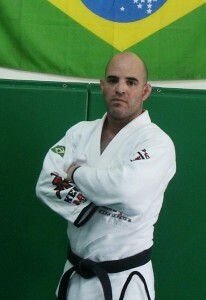 Leo Arruda (who is also a black belt in Aikido) has won several important tournaments all over the world, including the World Cup on two occasions (by the Confederação Brasileira de Jiu Jitsu Esportivo – CBJJE) and the Pan Pacific, one of the biggest inter continental tournaments in the world. Vinicius Marinho is another great GF Team (Grappling Fight Team) black belt with an extensive curriculum of achievements in competitive Brazilian Jiu Jitsu including wins at the Mundial (World Championships) and the Brazilian Nationals. 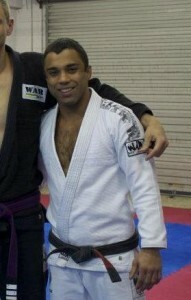 Marinho, who started training at age 10,achieved his BJJ black belt status when he was 19 years of age.